East Kunderang Homestead from a distance. 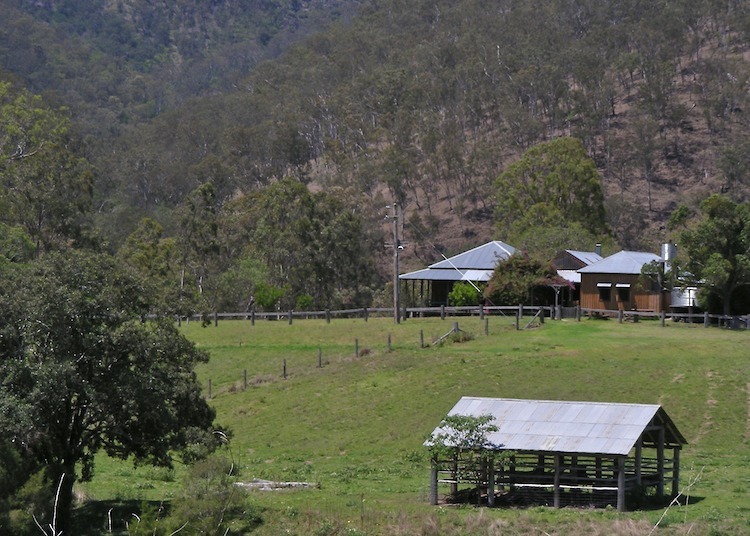 The homestead (in the middle-ground) comprises the main living area on the left and the kitchen on the right. These two building would have been maintained as separate buildings to reduce the risk of the living area burning down should the kitchen catch fire.